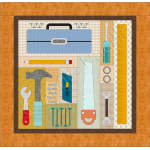 Fast and fun, use your favorite southwestern-style fabrics for this great quilt. 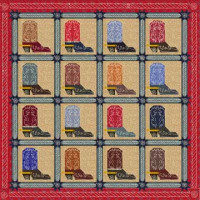 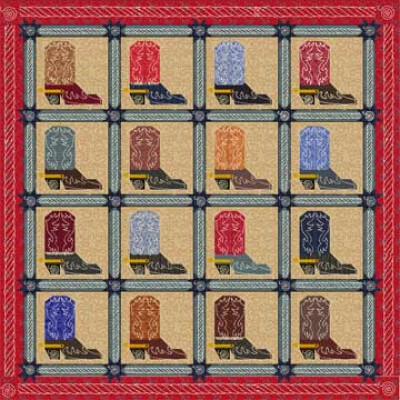 This pattern includes quilting motifs that enhance the boots, along with ropes that run up and down the sashing and quilt borders. 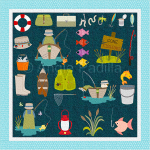 A whimsical little quilt for the handiest person in the family!Finished size: 33 x 32"This pattern i..